I have finished my latest pattern, titled "Silverwings", featuring a dragonfly with silver thread stitched wings. 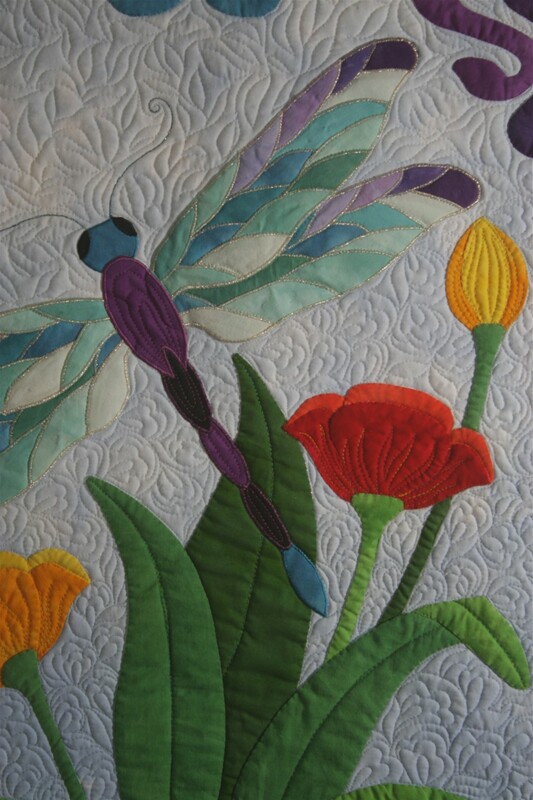 the dragonfly is raw edge appliqued, and the flowers and Art Nouveau style borders are turned applique. 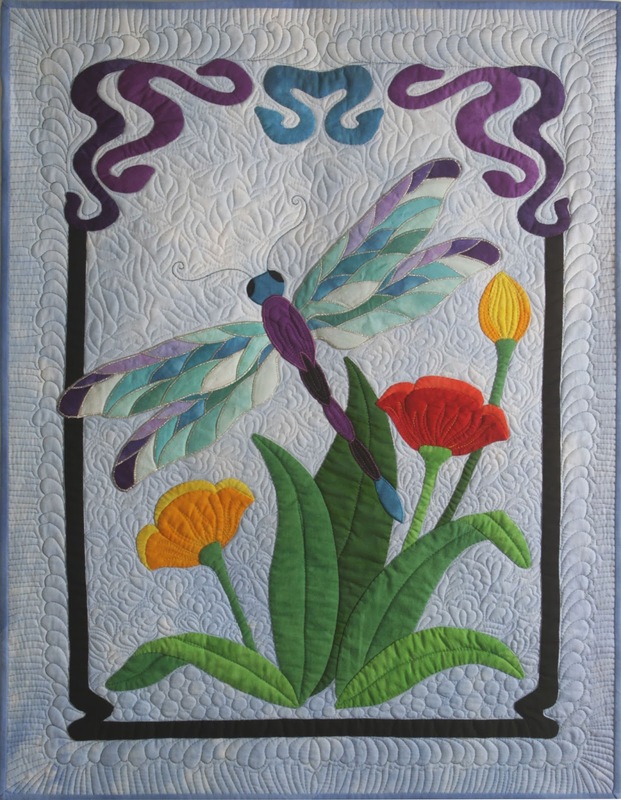 Pattern gives instructions for completing all applique by machine. It's 81cm x 63 cm. I really enjoyed working with the bright, vibrant colours in this piece and had fun stitching patterns into the background.